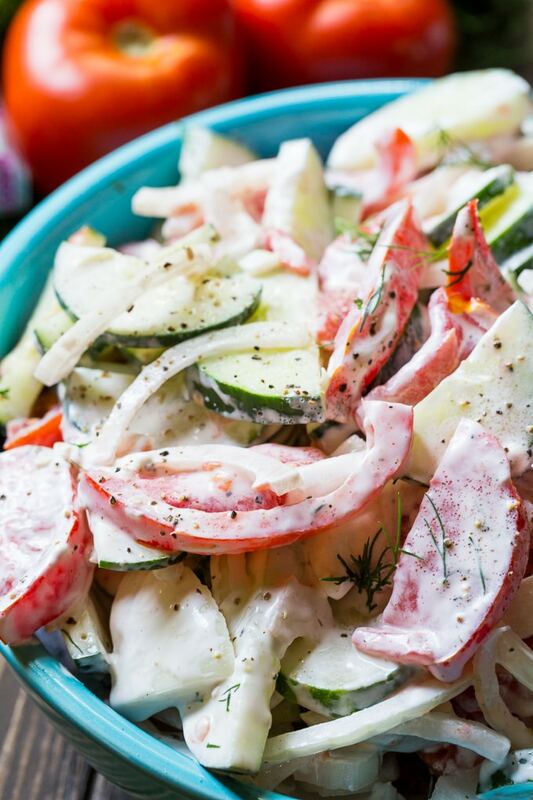 Creamy Tomato and Cucumber Salad makes a fantastic summer side. 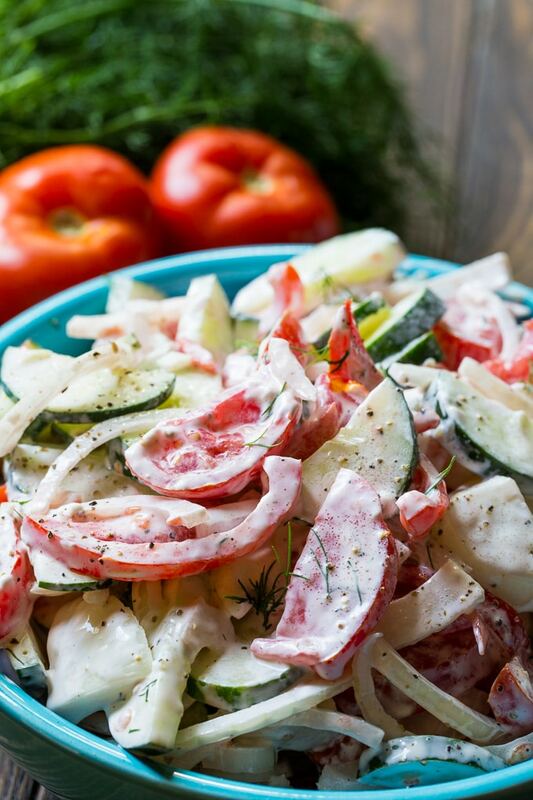 Sliced tomatoes, cucumbers, and onions are tossed in a creamy dressing made from mayonnaise, sour cream, cider vinegar, and fresh dill. 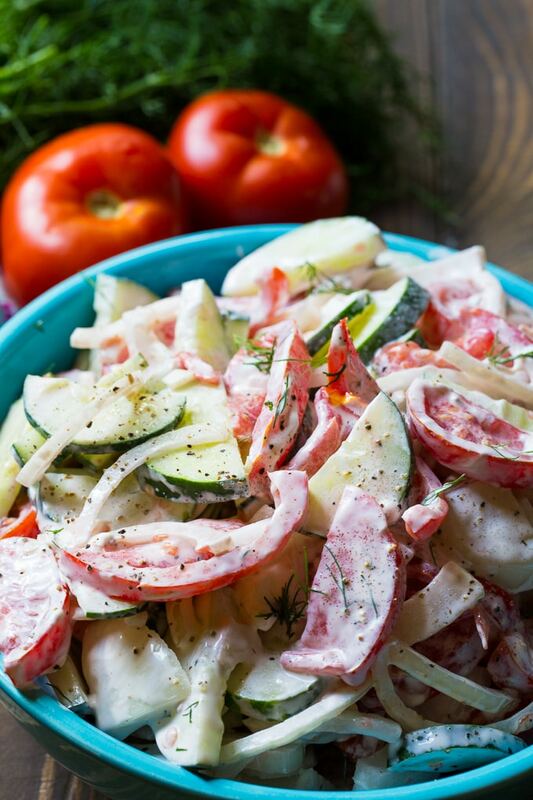 Creamy Tomato and Cucumber Salad is best made with ripe summer tomatoes. They are so juicy and have such great flavor. I could eat them every single day during the summer. The dressing is just a little creamy so that it is not too heavy. 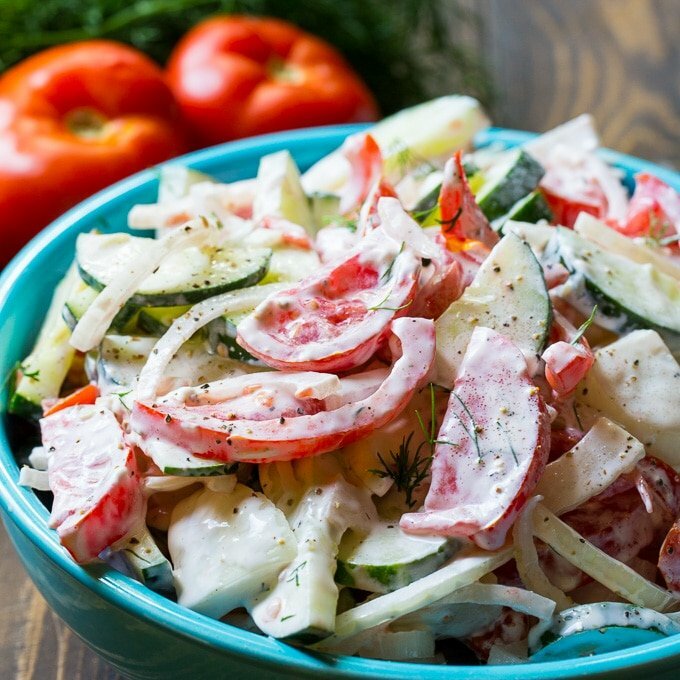 It’s light and refreshing and enhances the flavor of the tomatoes and cucumbers. I use a sweet Vidalia onion for this recipe but a red onion would work well too. This cool and creamy side dish goes great with burgers or grilled chicken. In a large bowl, stir together sour cream, mayonnaise, vinegar, sugar, salt, pepper, and dill. Add cucumber, tomato, and onion. Mix well, cover with plastic wrap and chill at least 30 minutes. This entry was posted in Salads, Side Dishes and tagged Cucumbers, tomatoes. Bookmark the permalink. I am going to try this, can you tell me how long it keeps in the fridge?